Well it certainly appears that pint-sized pop princess Selena Gomez has found her pop music niche. Unfortunately for Gomez, that niche - catchy-but-generic dance/pop - is one that I'm quickly growing tired of. Case in point, her latest single. The Dreamlab-produced "Hit The Lights" (released all the way back in October) was co-penned by Leah Haywood, Daniel James (both part of the production team Dreamlab) alongside Tony Nilsson. Like her last single...and the single before that...and the single before that...and the single before that, "Hit The Lights" is an up-tempo dance/pop number infused with all the personality of a rusty nickel. Sure, the beats are pumping but it's just another generic dance tune in a long line of generic dance tunes. While I'm about as interested in hearing Selena Gomez sing a ballad as I am in watching paint dry, I was hoping for something a little different. Call me crazy! I guess one can't fault Gomez for trying to keep the momentum up, after releasing four #1 Billboard Hot Dance Club Songs singles ("Naturally," "A Year Without Rain," "Who Says," and "Love You Like A Love Song") but come on! Diversify! "Hit The Lights" wasn't even remixed for the clubs (at least not yet) which is a bit surprising. Maybe Gomez's label, Hollywood Records, requires a song to go at least Top 40 on the Hot 100 Chart before making it into a dance remix? I say this because not one of Gomez's singles has charted in the Top 20, yet all have made it into the Top 40...with the exception f two...her debut single "Falling Down" (#82) and "Hit The Lights" (as yet uncharted). While the song pretty much flopped in the U.S., it did show itself internationally, peaking at #15 on the Belgian chart, in Slovakia at #33 and in #60 in Canada. So I guess it's not entirely a failure...just mostly. 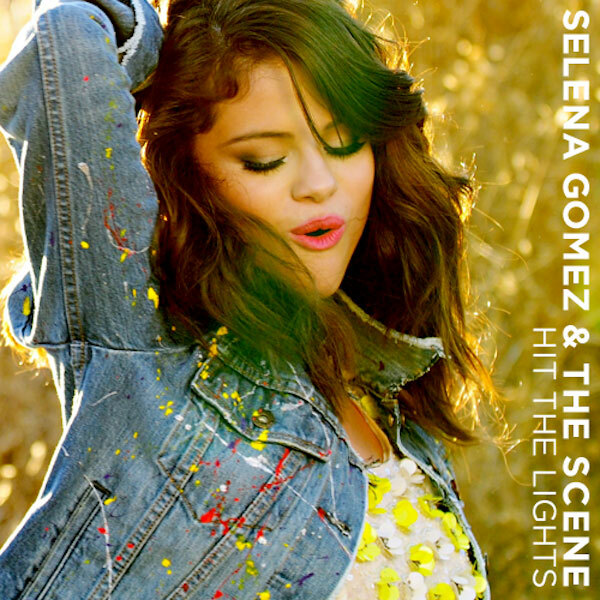 "Hit The Lights" is the third single to be lifted off of Selena Gomez & The Scene's ('The Scene' being her band: Greg Garman, Ethan Roberts, Joey Clement, Dane Forrest) third studio album, When The Sun Goes Down, released last summer. The album went on to peak at #3 on the Billboard 200 chart, becoming the young starlet's highest charting debut to date. Say what you will about "Hit The Lights," Selena Gomez is a little workhorse with a fierce work ethic so she at least deserves credit for that. Pulling a Rihanna and releasing an album a year for the past three years, I'm definitely a fan of Ms. Gomez. I think she just needs to take a little break, pool her creative resources and come up with something fresh and excited, because let's face it...the last thing pop music needs is another generic kiddy club anthem.